Osborne Bulls has defied the racing pattern at Caulfield to land a narrow first-up victory. 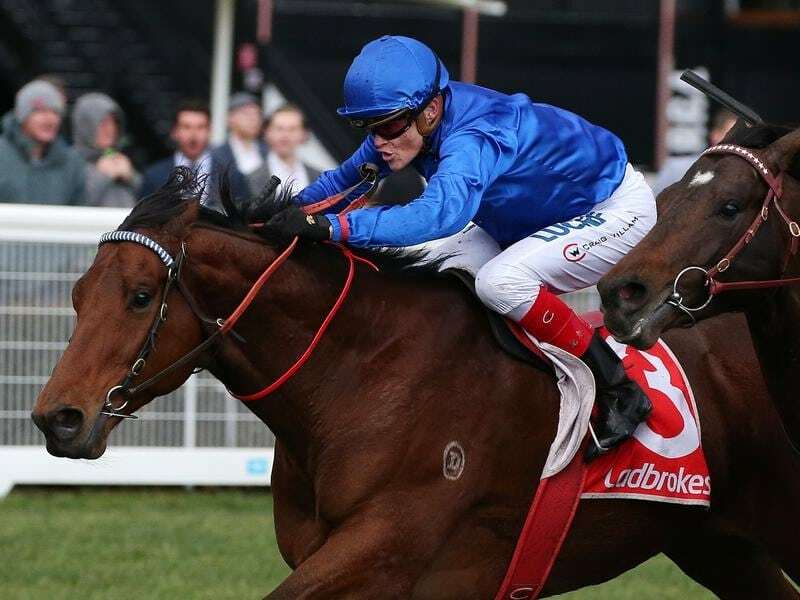 Having his first outing since winning at Scone in May, Osborne Bulls was dispatched to Melbourne by Godolphin for Saturday’s Listed Regal Roller Stakes. After settling at the tail of the nine horse field, Osborne Bulls, the $3.30 favourite, came to the outside in the straight under Craig Williams to score a short-head win over Land Of Plenty ($19) with Brave Song ($4.20) 1-1/2 lengths away third. Williams said Reg Fleming, in charge of Melbourne’s Godolphin yard, had told him all he needed to do was point Osborne Bulls at the winning post and that he’d do the rest. “He’s done a really good job because when we go back and look at this meeting it’s been very hard for horses to make ground,” Williams said. “I put him into the race a lot earlier than I wanted to as I had to make sure we had no excuses. The victory was a minor consolation for Godolphin and Williams who were beaten into second place with Hartnell in the Group Two PB Lawrence Stakes.